There is nothing quite like a carnival, people. 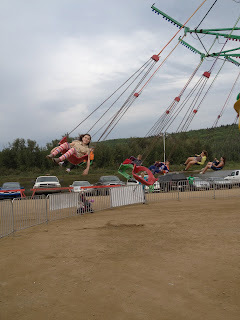 I have always loved them, since I was a young child in Saskatoon and the carnival would come to town. 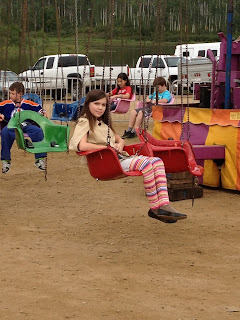 I admit it - the rides made me a bit sick, and I often turned a bit green when being whirled about in teacups or some other "ride" that is actually more like some form of medieval torture device. A carnival was here in Fort Mac recently, for the Big Spirit Festival, but this carnival turns people green for a different reason. 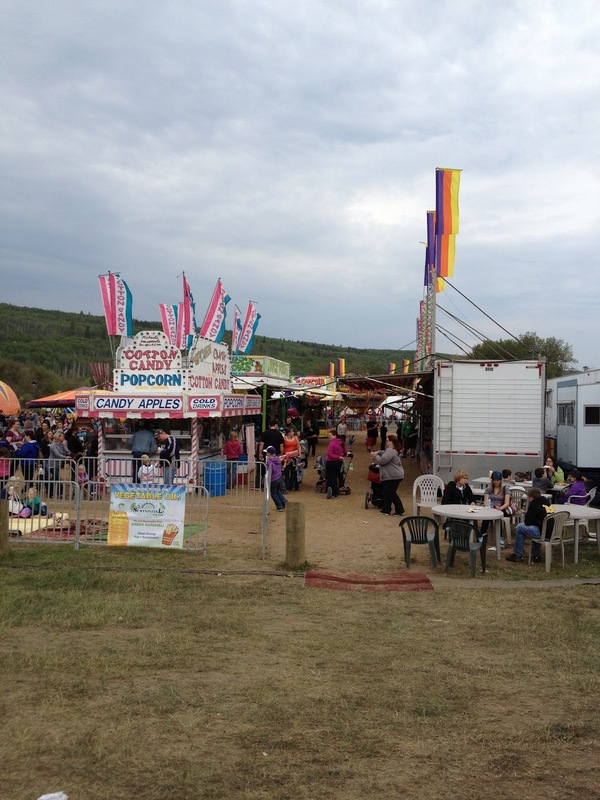 This carnival, you see, runs the rides - and food concessions, and gaming booths - on biodiesel. 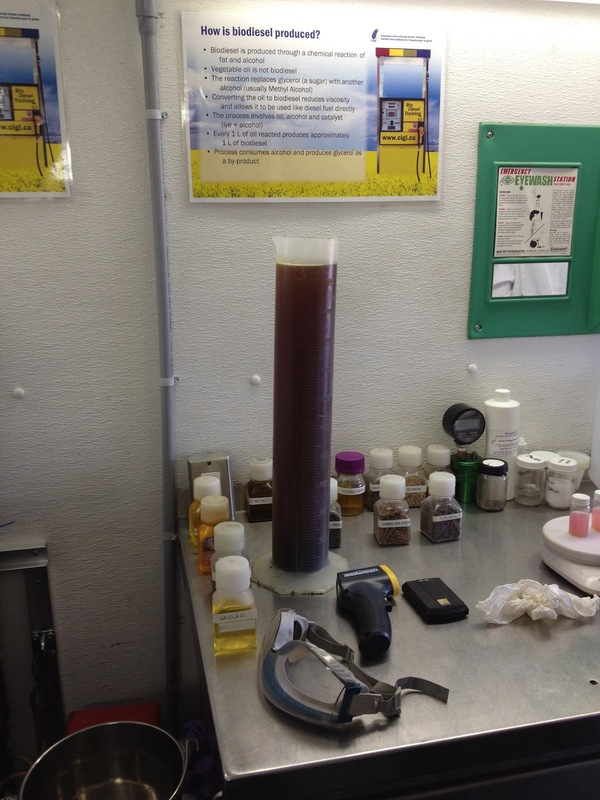 And that biodiesel comes from waste vegetable oil. You know, the same stuff used to fry mini-donuts and elephant ears, that traditional carnival health food. I don't toss around the word "genius" lightly, and I don't use it often. But I'm using it today, because the founder of Sustainival, Joey Hundert, is a genius in my opinion. Not because he invented biodiesel, as that concept has been around for some time, but rather because of how he is using it. The idea of using biodiesel, and better yet of using waste vegetable cooking oil, to fuel carnival rides takes the "boring" out of sustainability. 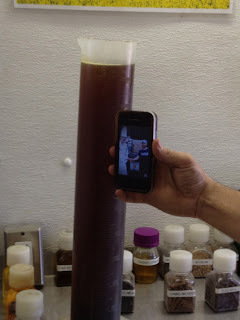 It makes the entire concept of sustainable understandable, approachable - and fun as hell. It turns the idea that "sustainability" must be some dry, academic concept on it's head and makes it into something that can be grasped by everyone. It is, frankly, just very damn clever. On Saturday I was genuinely honoured to be a guest when Joey showed a small group how he is using waste vegetable oil to run a carnival. 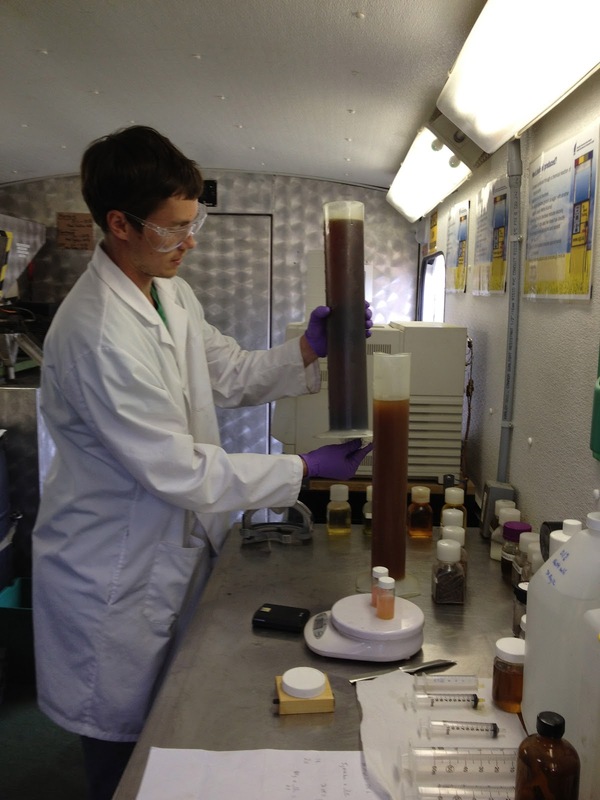 With the help of a chemical process and a small trailer called "Flower Power", Joey and his chemist are able to convert waste vegetable oil to biodiesel, biodiesel that then goes into four massive generators that power the carnival. Now, think about the energy-sucking rides, and then all the lights for the rides and the game booths. 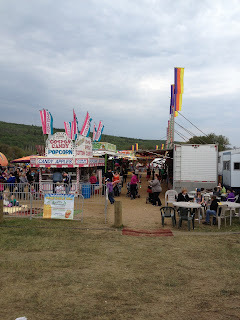 Then add in the lights for the food concessions, and all their power-hungry deep fryers and cotton candy spinners. Then realize that the entire thing is being fuelled not with electricity but with biodiesel from waste vegetable oil. The day before I saw the process Joey had been working with my friend Ken Bowie, who happens to be a chef at the Sawridge. You see, Joey and Ken had been cooking something up. 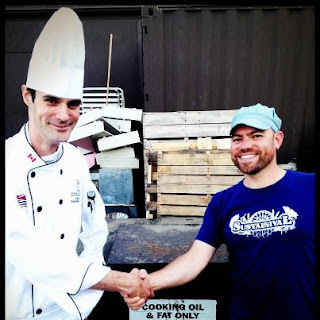 It wasn't a spectacular meal, like Ken often prepares, but rather the gift from Ken to Joey of waste vegetable oil from the Sawridge kitchens. 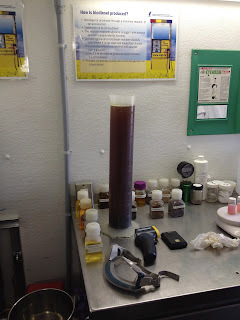 And on Saturday the Intrepid Junior Blogger and I saw history being made when the waste oil from the Sawridge began the conversion process into biodiesel right on site at the carnival. 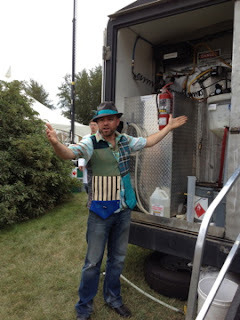 It was a first, the inauguration of onsite conversion for Sustainival (Joey has been doing the conversion for some time, but this new trailer allows him to do it it right where the carnival happens to be). I can't even begin to tell you how pleased I was. 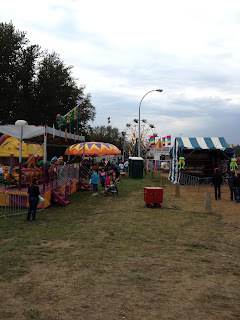 To think that the waste vegetable oil from one of my favourite restaurants would be converted into biodiesel to fuel the rides at the carnival operating in my community? Astonishing. I suspect I had an enormous grin on my face the entire time, unable to hide my enthusiasm for an idea that I think is inspiring. I have written a lot in this blog about people of vision, passion, and drive. Joey Hundert is a prime example. 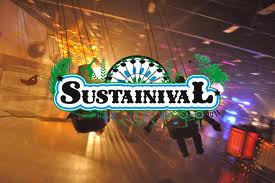 Sustainival began when Joey wanted to organize a touring eco-village, but recognized the need to have money for such a venture. He began to think of ways to make that money, and one night while tiredly trying to write "sustainable carnival" the words smooshed together and "Sustainival" was born. An idea that formed solely in his head slowly became reality, with the support of groups like Volvo Rents (they provide the generators and helped Joey really make the idea work). The thing is though that without Joey's passion, vision, and drive there would be no sustainable carnival. This idea is, in my opinion, a stroke of genius, and that genius is Joey Hundert. Talking to Joey is inspiring enough. Looking around at what he has done, though, is beyond inspiring. Joey had an idea in his head to take sustainability to the masses, but what he has managed to do is so much more. He has taken the entire concept and made it fun, made it accessible, made it real. People look at the signs on the rides and they understand that these rides are not sucking electricity but rather biodiesel. It opens them to thinking about other sustainable resources and ideas. It pries open their minds just a tiny bit, sticking a foot in the door, and makes them more open to thinking about sustainability. And when they realize that the waste vegetable oil from the mini-donuts they just ate could be powering the Ferris Wheel tomorrow? Well, that is simply mind blowing. The tie-in between Sustainival and this community is obvious. One of the pillars of the proposed developments in this city, particularly the City Centre Redevelopment Plan, is sustainability. We are also developing new technologies in this region on a daily basis, both in industry and government, that adhere to models of sustainability. And while I have tremendous respect for those initiatives they are lacking exactly one thing. They are desperately lacking in carnival atmosphere. For that one needs to turn to Joey Hundert and Sustainival, where turning green doesn't mean changing skin colour while on the Tilt-A-Whirl but rather fuelling an entire carnival on waste vegetable oil, passion, vision, and drive. Now, people, we are talking about sustainability with a difference. for once again bringing great things to our community! I can't thank you enough for what you have shared here. Wow. I am completely humbled. Your visit to our first batch of on-site-biodiesel @Sustainival #YMM was momentous indeed. It was so exciting to share that with you and your family. I have left Fort McMurray with a sense of gratitude and excitement. Your community is truly wonderful. We were received so grandly and supported in important ways. We will be back as many times as you'll have us Fort McMurray! Thank you so much for popping by, and thank you so much for your words about me. It makes working this hard worthwhile.